Landscapes are beautiful areas where you can relax and enjoy the benevolent nature. In order to sustain our clients’ satisfaction, we at Greenstar Landscape provide reliable Landscape Maintenance at an affordable price. The designing, maintenance and installation services are continuously supervised by our experts so as to ensure that specifications of the customers are duly met. To us, maintenance quality comes first and cannot be sacrificed at any point. To add, the tools which we use while rendering these services are made of the best quality of materials, procured from certified vendors in the market. At our designing unit, experts and skilled designers look for the design which is best suited for your location. Along with maintenance of landscapes, we provide maintenance services for various landscape accessories like trees, plants, pots, planters, shrubs and pathways and thus giving you a wide-array of landscape assets so that your landscape can get a complete mesmerizing look. Landscaping is one of the best ways to make an unnoticed area noticeable. 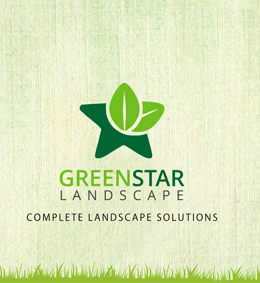 Greenstar Landscape strives to make your dreams come true within the stipulated period of time. Our vast experience in this domain has made us popular in the market for our services like landscape designing, landscape installation and landscape maintenance. To ensure flawless productivity, we test every tool and product carefully before using it for landscape maintenance while making sure that every design for your property is unique and fresh. Moreover, while executing our maintenance services, we keep in mind the changing trends and thus keep on adding new things to your landscape to keep it updated. We believe in the best. Therefore, we deliver the best.